This sleek, minimalist Kate Spade New York Garden Drive Frame is the perfect option for showing off a favorite portrait or snapshot. 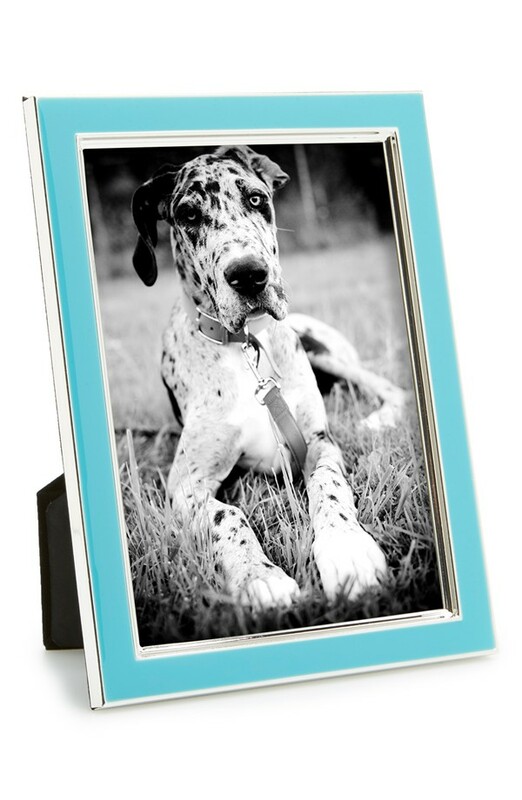 Holds 4″ x 6″ photo. $50 Sale $29.97. Buy here. 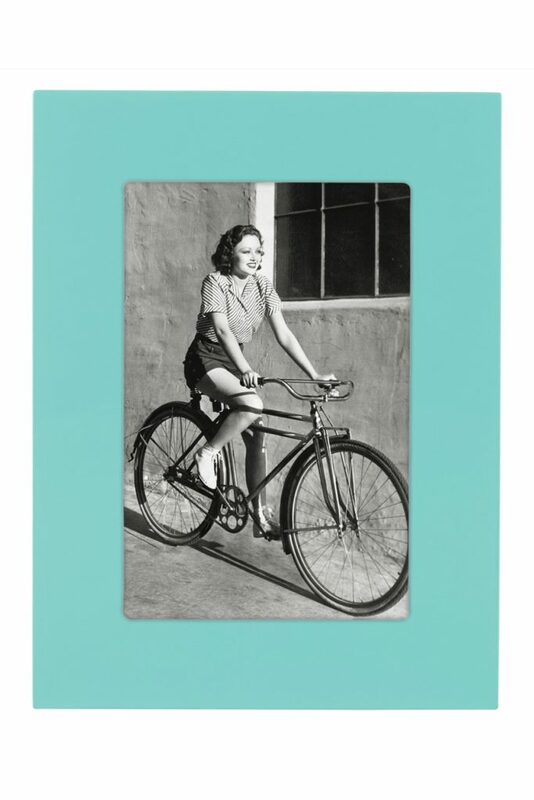 Elegantly display your favorite photos in a classic Gilded 4″x6″ Enamel Frame. 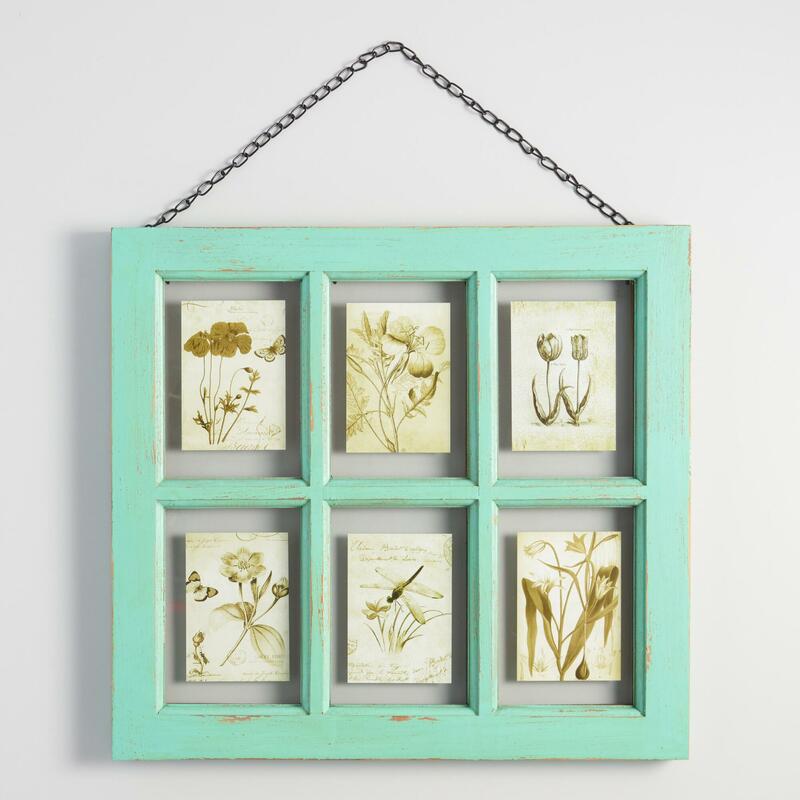 The tabletop enamel metal frame features a gilded trim. $10.97. Buy here. 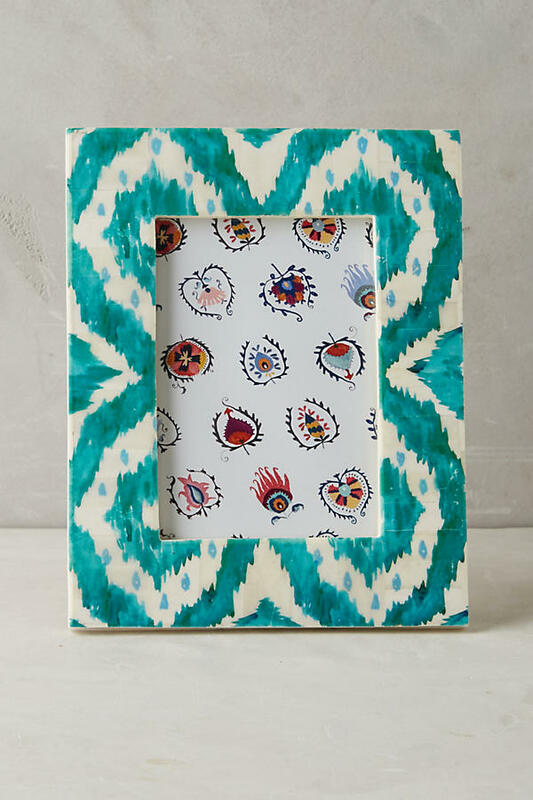 Highlight a favorite memory with this unique Turquoise Jovana Frame. Holds a 5″ x 7″ photo. $28. Buy here. 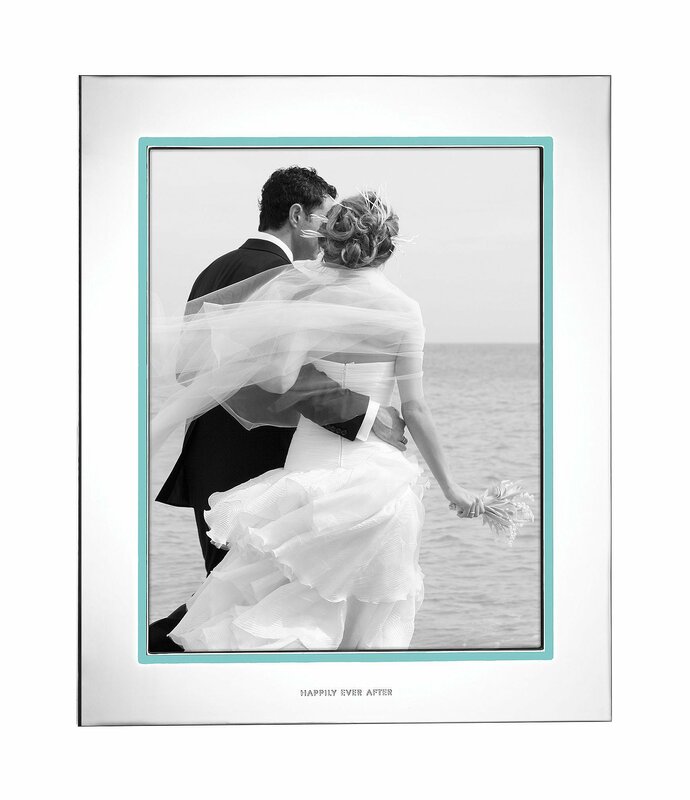 This Kate Spade Take the Cake Wedding Picture Frame is crafted of silver plating and enamel. Perfect for wedding portrait with its “Happily Ever After” inscription. $50-$75. Buy here. 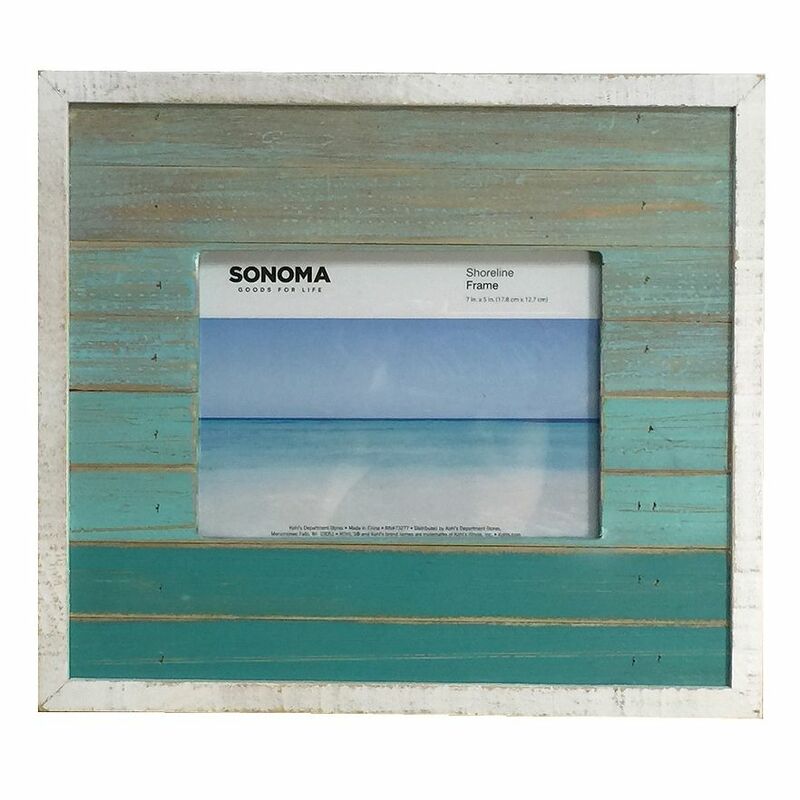 This distressed Life is Better at the Beach Turquoise Picture Frame will provide a stunning accent to your decor, hanging on your wall or as a tabletop display. 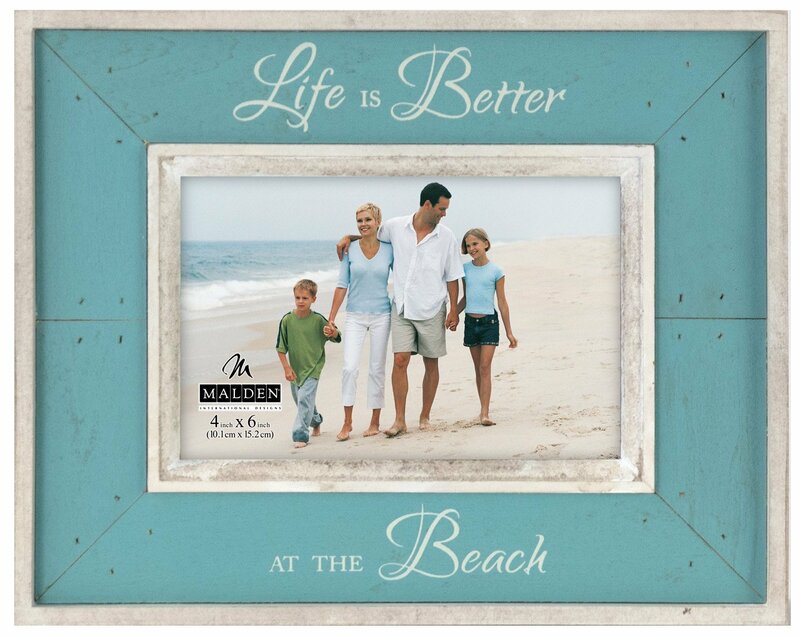 The perfect way to highlight a favorite beach memory! $17.99 Sale $11.70. Buy here. 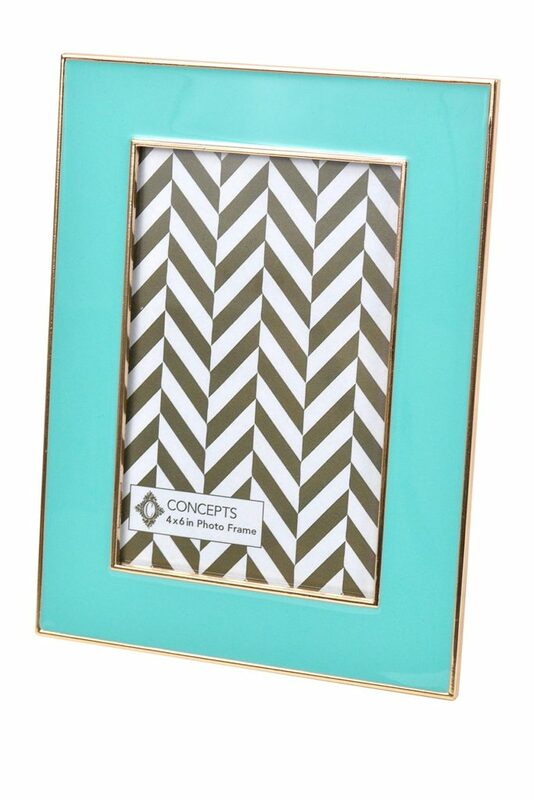 The Signature Design by Ashley Baina Photo Frame – Set of 2 in white and teal gives your decor a modern touch youâ€™ll love. 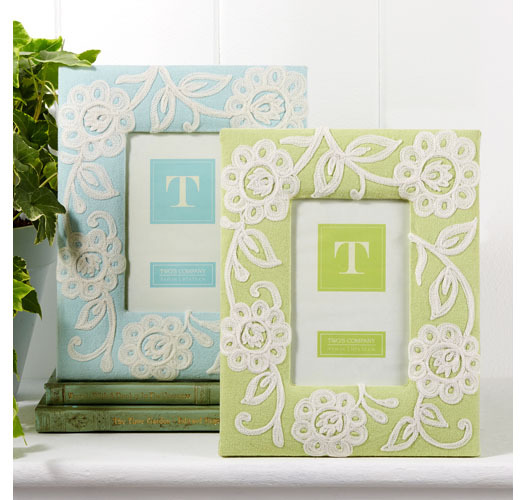 These fun and playful pictures frames are crafted from metal and feature an embossed trellis design. Holds 5-by-5 and 5-by-7 pictures. $40 Sale $34.93. Buy here. 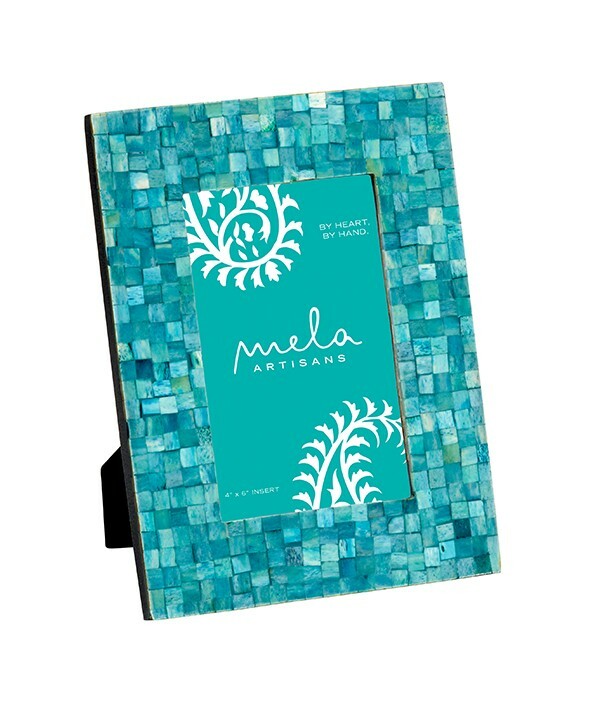 Reminiscent of vivid blue equatorial skies, this stylishÂ Turquoise Congo Photo Frame is a bold addition to your home dÃ©cor. 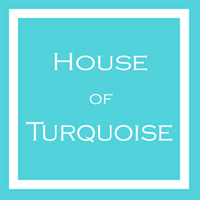 Made from recycled wood and painstakingly inlaid with turquoise bone pieces, the striking mosaic design will draw attention to your favorite photos. $50. Buy here. 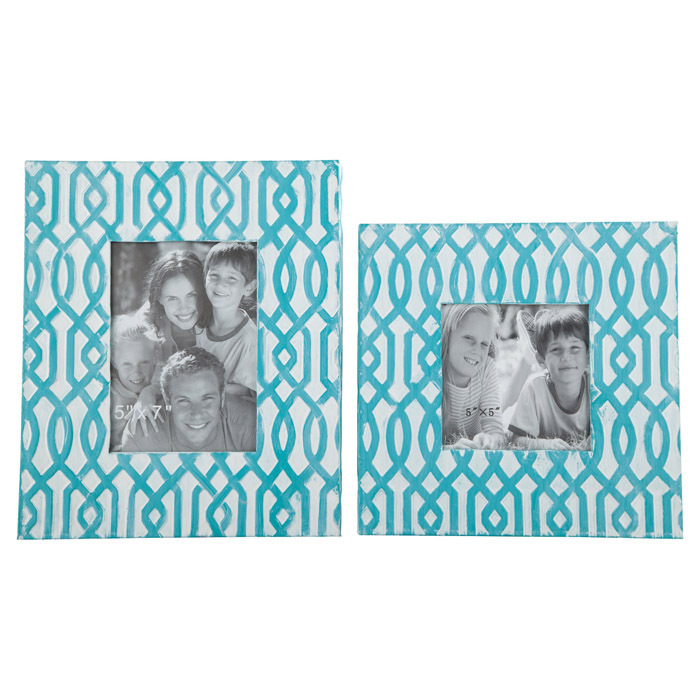 Put your favorite picture on display with this 4” x 6” Fetco Home DecorÂ Slats Clip Back Frame. Attached easel makes display simple. $9.99. Buy here. 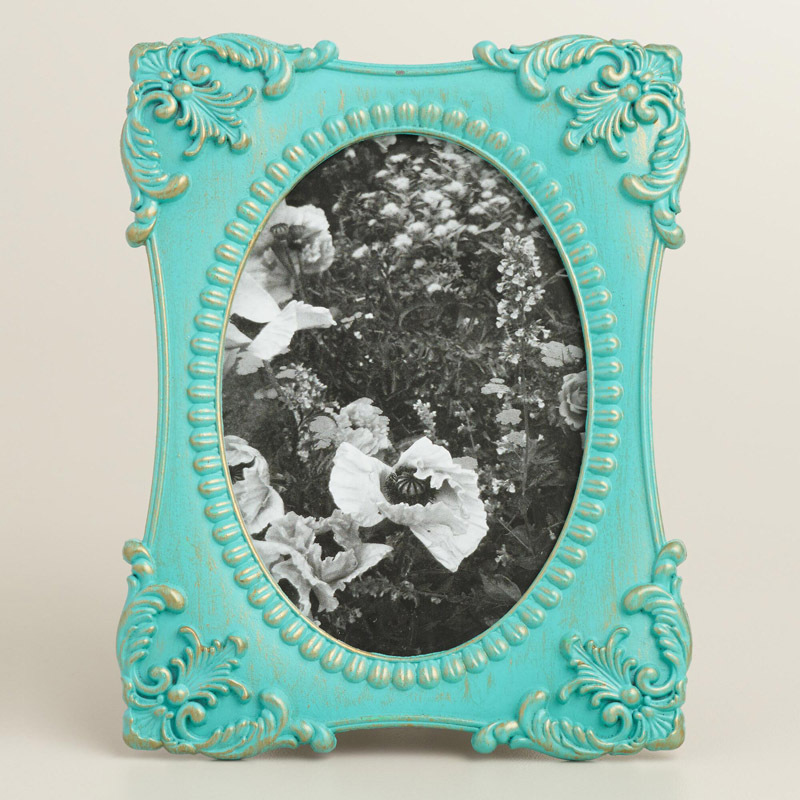 Lend a vintage feel and oval form to your photos with this romantic tabletop Aqua Metal Lucy Frame, crafted of aqua-finished metal with gold distressing and antique-inspired embellishments. $6.48 Sale $5.83. Buy here. Sleek enamel and silvertone trim make thisÂ Addison Ross London Picture Frame a sophisticated, modern addition to your dÃ©cor and an ideal display for a favorite 5×7 photograph. $29. Free shipping. Buy here. 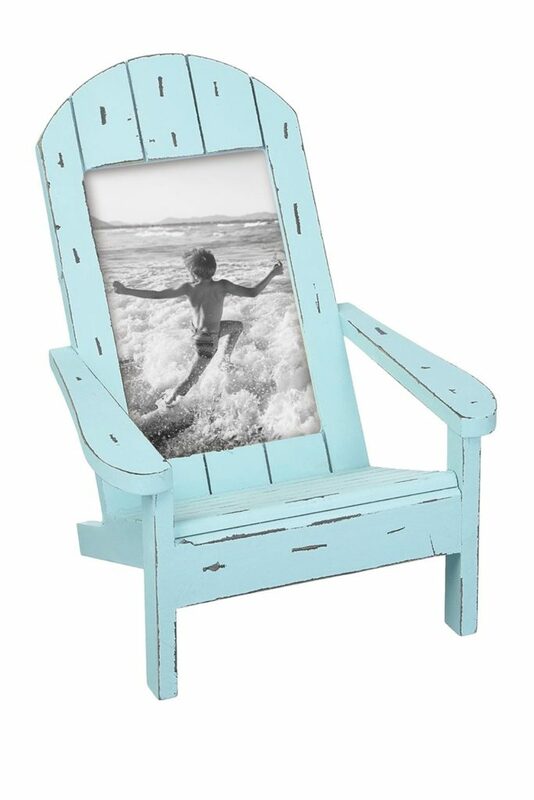 ThisÂ Turquoise Ombre Wood Frame brings the beach into your home. Attached easel makes display simple. Holds 5″ x 7″ photo. $23.99 Sale $11.99. Buy here. This lace flower crewelworkÂ Light Blue Lace Flower Frame is a beautiful way to highlight a favorite memory. Stands either horizontally or vertically. $35. Buy here. This woodenÂ Be Your Own Kind of Beautiful Frame is a thing of beauty. 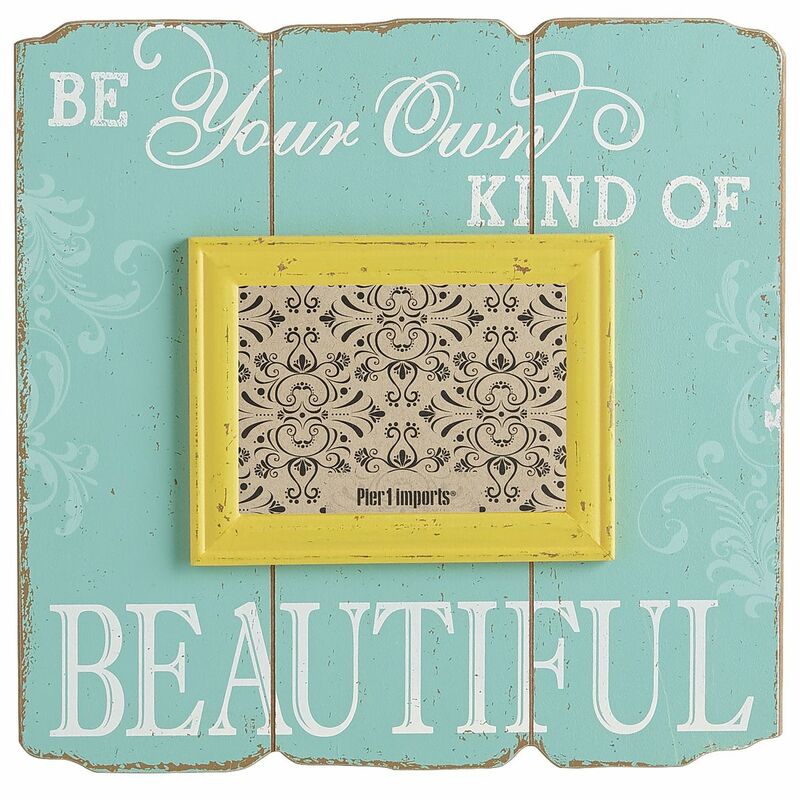 Itâ€™s hand-painted an upbeat teal with a bright yellow inner border, distressed edges and an inspiring message. 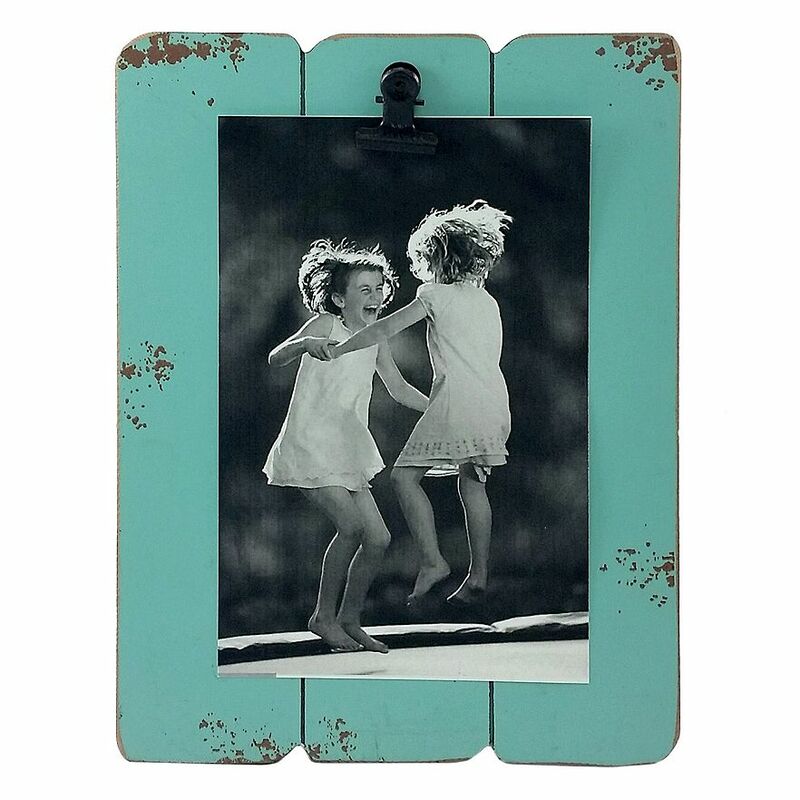 Add your 5×7 photo and let it beautify your mantel, bookshelf or coffee table. $24.95. Buy here. 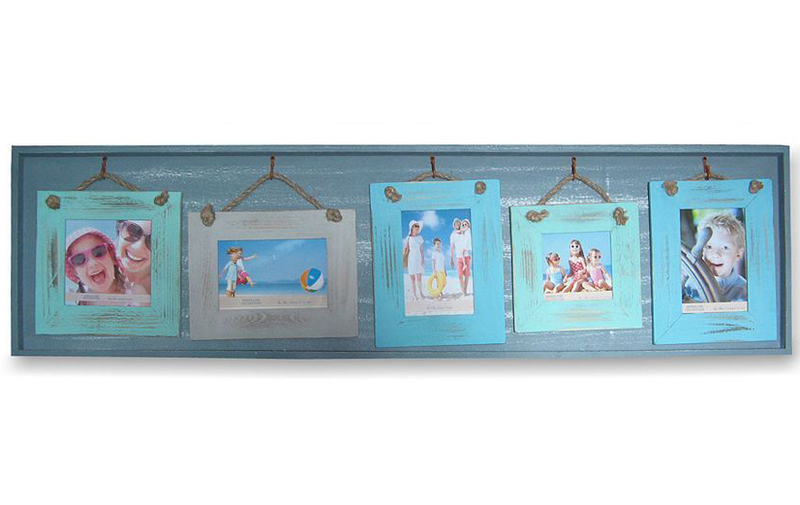 Show off all your favorite photos with this charming and distressed Blue 5-Opening Collage Frame. Rope accents add a nautical touch. $119.99 Sale $59.99. Free shipping. Buy here.